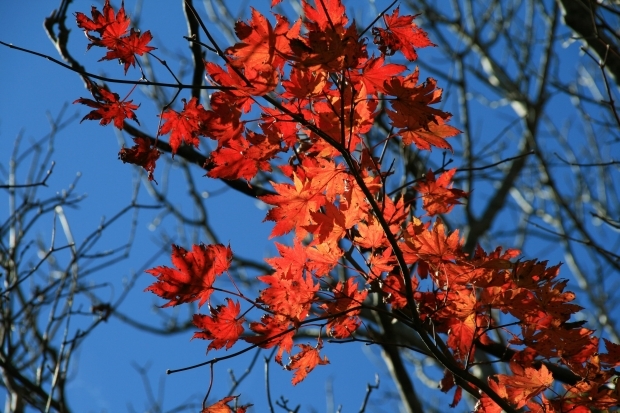 Will your Favorite Fall Color Trends Keeping Working in Winter? The leaves this year, especially in New England, have been more garish and spectacular than any other year in recent memory. Their brilliant Fall colors inspire what we do, what we eat, and especially what we wear. Just take a look around you. Even a passing glance at fashion on Pinterest reflects the foliage almost as clearly as a placid lake might. On Facebook, in the news, and on your friends and neighbors: Orange is the new black. Orange says earthly and outgoing. Orange says hip and cool, with a possible criminal element. We love it! But can we rock orange in winter? Yes, by all accounts! Color Solutions International, We Connect Fashion, Fashion Snoops, and even the great Pantone all agree that you should keep it lively and keep it orange. Color predictions across the board agree that orange, blood orange to be precise, will continue to reign supreme even as the snow flies. So, by all means, let the fall colors you love keep on rockin’ you right through ‘stick season’ into the new year! What’s the deal with Pumpkins on Halloween? We know that pumpkins are in season. There are giant pumpkins, ornamental pumpkins, pumpkin pies, soups, side-dishes, seeds, muffins, and even lattes. Pumpkins taste amazing, they are loaded with vitamins A and C, they have tons of iron and calcium, and our gardens are full of them. So why carve them and light them on the porch? What’s the deal with Pumpkins on Halloween? Ignis fatuus seems to have pretty much eluded scientific explanation over the last few centuries. In the 1770’s Italian physicist Alessandro Volta described it away as a natural electrical phenomena involving methane gases (emitted from the swamps where it is most often seen). Other explanations have included seemingly preposterous things like low-flying meteors. Modern explanations include the natural chemiluminescence of phosphine and the oxidation of organic compounds (phosphine, diphosphane, and methane) generated by decaying organic matter (like the kind we find in swamps and bogs). This is a name that is sometimes applied to a phenomenon perhaps more frequently called Jack-o’-the-Lantern, or Will-o’-the-Wisp. It seems to be a ball of fire, varying in size from that of a candle-flame to that of a man’s head. It is generally observed in damp, marshy places, moving to and fro; but it has been known to stand perfectly still and send off scintillations. As you approach it, it will move on, keeping just beyond your reach; if you retire, it will follow you. 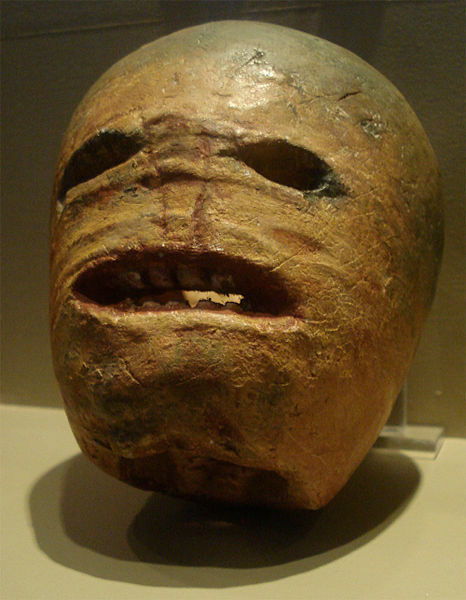 The tradition of carving out a vegetable to hold light, like our modern carved pumpkin, came from Ireland, who also brought us Samhain, the pre-Christian Gaelic festival celebrating the beginning of the “darker half” of the year. Samhain starts on October 31 and represents a transitional time when faeries and spirits can travel more easily between worlds. Sound familiar? 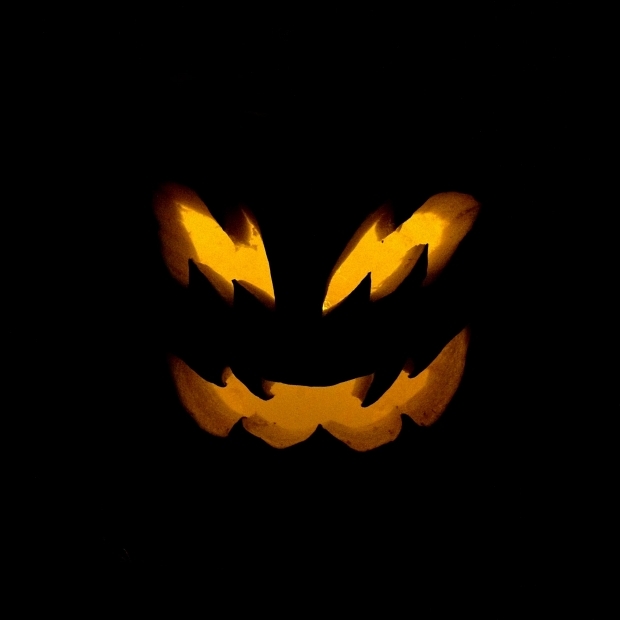 Check out the image of the traditional Irish Jack-o’-Lantern (above). The pumpkin version by contrast seems a sweet little summer squash. Leave it to the Irish to bring us awesome stories and spooky traditions! What’s not to love about that?! What’s the deal with the full moon in October? What is the deal with the full moon in October? Every other month has a full moon, some even have two! But the full moon in October has something extra. Is it cultural? Is it astronomical? Superstition? This summer we have had super moons, the harvest moon, the strawberry moon, and the sturgeon moon. 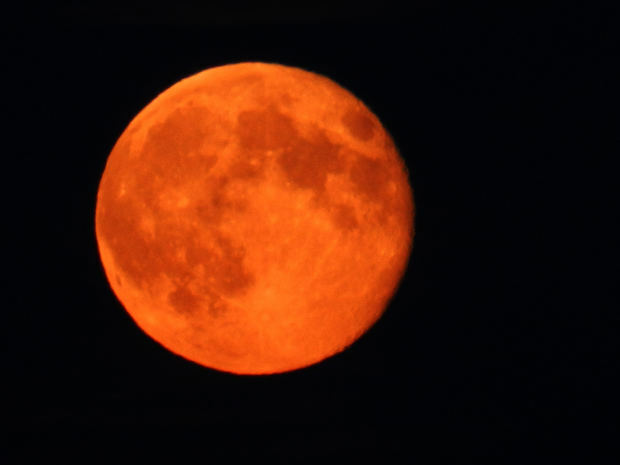 All wonderful in their own way, but none has the mystery or cachet of the Full Hunters’ Moon, the October moon also called the Blood Moon, or Sanguine Moon. The recent Hunters’ Moon had the added allure of a full eclipse (and Mercury in retrograde – if that means anything to you), but the moon in October is always something special. Now we’re getting somewhere! But what is so special about the October moon that makes us such lunatics? Halloween seems too obvious an answer. The Blood Moon has some Christian End-of-Days connotations that make it feel pretty ominous, but the moon always has a certain mysticism about it, despite the calendar. Let’s take a look at the tenth month. October is National Dwarfism/Little People Awareness Month, National LGBT History Month, and National Cyber Security Awareness Month. These observances in combination make for a most auspicious 31 days, indeed, but don’t really explain things. The number 10, however, cuts to the chase. RidingtheBeast.com (a religious website about symbols and numerology) claims “The number ten is regarded as the most perfect of numbers, because it contains the Unit that did it all, and the zero, symbol of the matter and the Chaos, of which all came out; it then includes in its figure the created and the non-created, the beginning and the end, the power and the force, the life and the nothing.” Wow. That’s enough to make you howl at the moon! Hoodies are ubiquitous in our culture – especially at this time of year. It’s getting cold out there – in New England anyway – and we’ve got ears to protect. For people of a certain age, the hooded sweatshirt is synonymous with sports and fitness: many of us instantly recall the iconic image shot by Annie Liebovitz of The Peoples Choice, Muhammad Ali wearing a hoodie; some of us think of the fictional Rocky Balboa (Sylvester Stallone) of the box office hit movies ‘Rocky’ (you might even be able to hear Rocky’s theme in your head right now). For other generations, the hoodie conjures up other images entirely: Mark Zuckerberg’s hoodie fashion statement on Wall Street; the tragic loss of Trayvon Martin. 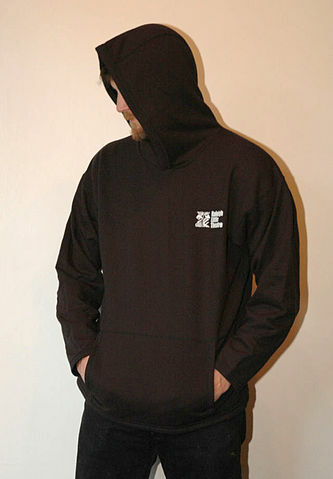 The hooded sweatshirt was initially developed for very practical reasons. The New York Times tells us: “The hooded sweatshirt began, in the 1930s, as a practical piece of clothing. Champion created the first ones for laborers in the frozen warehouses of upstate New York…Eventually, hooded sweatshirts were produced for football and track athletes, who would lend theirs to their girlfriends, and eventually the hoodie was everyday wear.” Sort of the modern day letter sweater. The hoodie was usually associated with blue-collar workers and athletes – both groups just trying to keep their ears warm. Before that, way before that, the hoodie was associated with Medieval monks, who wore hoods for pretty much the same reason: warmth. Today, though the hoodie is still warm and cozy, those who don now it often do so to make a statement. Soon after the fame of Muhammad Ali and the widespread popularity of the Rocky films, Hip hop and Punk basically brought the hoodie to the masses. Where the hoodie, because it can easily shield one’s identity, became a symbol of isolation. Movies and the media ran with this idea: the bad guy these days is often portrayed in a hoodie (the modern version of the gangster’s fedora?). It also could be that the famous fictional hood-wearers of yore have had a hand (do fictional characters even have hands?) in the evolution of the cultural significance of the hoodie: think Little Red Riding Hood, Robin Hood, and the Grim Reaper. On the surface, Little Red Riding Hood’s motives do not appear suspect as far as we know, but maybe she was hiding something. I mean why was she out alone in the woods anyway? Maybe grandma’s house was just a ruse? Robin and the Reaper, on the other hand, definitely had plans that might demand the anonymity a well-placed hood can provide. It is these two perhaps who add the aura of mystery and suspense to this beloved outer garment. We will look further into these characters and into hoods and anonymity – especially as Halloween approaches!